We are all subject to the fates. But we must act as if we are not, or die of despair. 1. It is set in the most unique, dazzling, wildly imaginative alternate universe you could hope for in a fantasy novel. From page one, you'll be mesmerized by its richness and complexity. We are talking a world in which every person has its daemon, the manifestation of their souls in animal form. A world filled with magic, dark secrets, politics, loyalty, treason, and danger. Pullman invented an entire cosmos -- a world that is similar enough to outs, but at the same time, so different! 2. The relatable orphaned girl at the center of it all. Lyra Belacqua is such a wonderful character - she's incredibly brave, loyal, ready to sacrifice her own safety (even life) for those she cares about. A girl with so many admirable qualities, including a strong moral compass and a very big heart, that is not afraid to fight for what she believes in. She's a character you will immediately connect with and root for until the end. 3. Memorable, beautiful thoughts and reflections - quotes that you'll jot down and come back to over and over again. Pullman's writing is like a flowing river of golden dust, his words wrap around your heart like a warm blanket, bringing you comfort and inspiring reflection. "You are so young, Lyra, too young to understand this, but I shall tell you anyway and you'll understand it later: men pass in front of our eyes like butterflies, creatures of a brief season. We love them; they are brave, proud, beautiful, clever; and they die almost at once. They die so soon that our hearts are continually racked with pain. We bear their children, who are witches if they are female, human if not; and then in the blink of an eye they are gone, felled, slain, lost. Our sons, too. When a little boy is growing, he thinks he is immortal. His mother knows he isn't. Each time becomes more painful, until finally your heart is broken. Perhaps that is when Yambe-Akka comes for you. She is older than the tundra. Perhaps, for her, witches' lives are as brief as men's are to us." "Being a practiced liar doesn't mean you have a powerful imagination. Many good liars have no imagination at all; it's that which gives their lies such wide-eyed conviction." "We feel cold, but we don't mind it, because we will not come to harm. And if we wrapped up against the cold, we wouldn't feel other things, like the bright tingle of the stars, or the music of the aurora, or best of all the silky feeling of moonlight on our skin. It's worth being cold for that." 4. 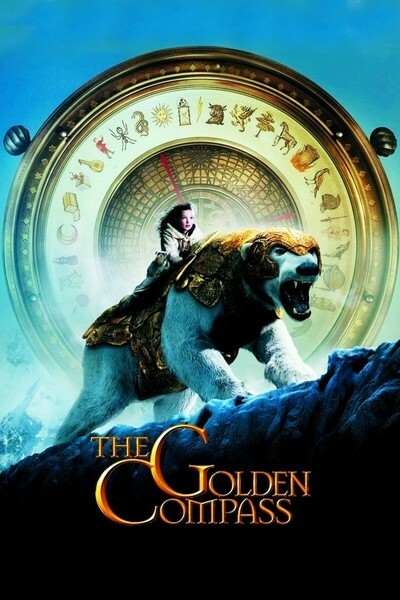 The Golden Compass movie - which, as far as book-to-movie adaptations go, isn't the best, but is far from the worst, too. And isn't it always so nice to read a book and then compare it with its adaptation? Plus, Nicole Kidman stars in the movie, and I don't know about you, but in my book, it's always one more reason to watch it! 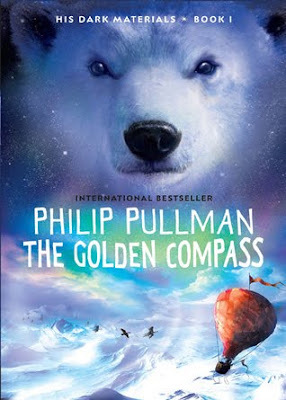 Two decades after The Golden Compass (1996)—the first book of Pullman’s world-famous His Dark Materials trilogy, which has sold more than 17.5 million copies in over 40 languages—THE BOOK OF DUST (#BookofDust) will return to the parallel world that has enthralled readers young and old. 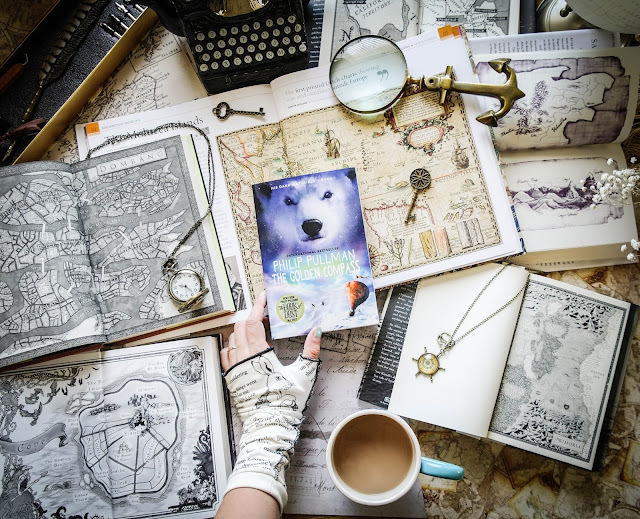 The plot will remain under wraps until publication in October, but it can be revealed that the book is set ten years before The Golden Compass and centers on the much-beloved Lyra Belacqua. Alethiometers, daemons, and the Magisterium return to play their part, and Pullman also introduces a host of new characters.